Earners of the CompTIA Project+ certification understand the basic concepts to successfully manage small- to medium-sized projects. These business professionals have demonstrated the knowledge and skills required to manage a project lifecycle, ensure proper communication, manage resources and stakeholders and maintain project documentation. 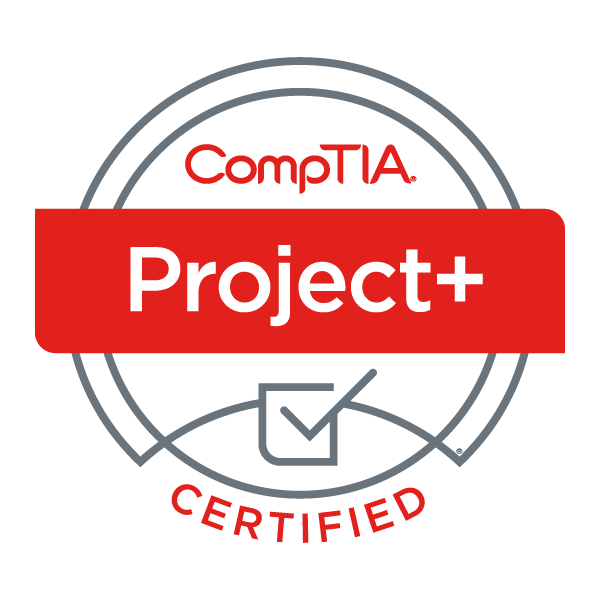 Achieve a passing score on the CompTIA Project+ exam.